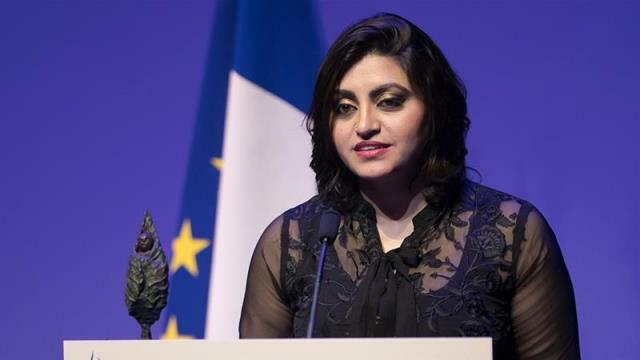 Islamabad, Pakistan – Pashtun rights activist Gulalai Ismail has been released by the police in Pakistan’s capital Islamabad, a day after she was arrested along with 17 others for holding a protest in the city. Ismail’s father Muhammad Ismail told Al Jazeera through a text message late on Wednesday night that she has been released and is on her way home. The other 17 activists belonging to the Pashtun Tahaffuz Movement (PTM), including its central leader Idrees Mehsud, remain under detention in the Adiala prison. Their arrest on Tuesday evening was described by rights groups as the latest round of repression of the PTM by Pakistani authorities. Ismail heads the Aware Girls advocacy group and is a prominent PTM leader. “There were 18 people, we have charged them all under the MPO (Maintenance of Public Order Act),” police official Abdul Razzaq told Al Jazeera earlier on Wednesday. Ismail and other PTM members were arrested shortly after they held a demonstration in Islamabad for the rights of Pakistanis living in conflict zones. The PTM has frequently accused Pakistan’s powerful military, which has ruled the country for roughly half of its 71-year history, of rights abuses, including a campaign of enforced disappearances and extrajudicial killings. Ismail and other PTM members were charged with violating Section 3 of the MPO, which gives the government wide-ranging powers to arrest people suspected of acting in a manner “prejudicial to public safety or the maintenance of public order”. Mohammad Ismail said his daughter shared her location with him via messaging service Whatsapp while being arrested and it showed she was being held at a police station. Later, police told Ismail his daughter had been transferred, but did not disclose her whereabouts. “We had been looking for her all day today,” he told Al Jazeera earlier on Wednesday. Gulalai Ismail was one of dozens of PTM activists attending a demonstration outside the National Press Club in Islamabad protesting the death of Arman Loni, a PTM activist who was allegedly killed in police custody on Saturday. Loni, a university professor, was taken into custody in the southwestern district of Loralai while at a PTM protest demonstration. PTM activists say he was killed by police after his arrest. Police say he died during clashes between police and protesters. On Monday, the Balochistan government ordered an inquiry into the incident. Authorities in Islamabad claimed the protest against the killing was illegal as it had taken place without their permission. Jamaat-ud-Dawa (JuD), led by Hafiz Muhammad Saeed, is the charitable arm of the Lashkar-e-Taiba (LeT) armed group. Sanctioned by the United States and the United Nations, the group has also been listed by Pakistan’s interior ministry as a suspected front for LeT. JuD was holding a demonstration to mark Pakistan’s state-sanctioned Kashmir Solidarity Day, a day of demonstrations across the country to protest Indian security forces’ “occupation” of India-administered Kashmir. The arrests of PTM activists on Tuesday are the latest in a fresh crackdown on the organisation, which shot to prominence last year when it held countrywide demonstrations attracting thousands of people to protest rights abuses allegedly carried out by the Pakistani military in its war against the Taliban. On January 22, prominent PTM leader Alam Zeb Mehsud was arrested on charges of “inciting a riot” after addressing a peaceful protest demonstration in the southern city of Karachi. Ismail herself was one of a number of PTM leaders, including its chief Pashteen, who were charged with treason for holding a protest demonstration in her native Swabi district in August. In October, she was detained at Islamabad airport on arrival in the country in connection with that case. « Previous Article RegioJet, the biggest private train operator in Central Europe, annouces record results of its train business in 2018.